It is with great sadness that we have to report the death of Professor Robert Weale who passed away peacefully, after a short illness, on November 30th, aged 91. 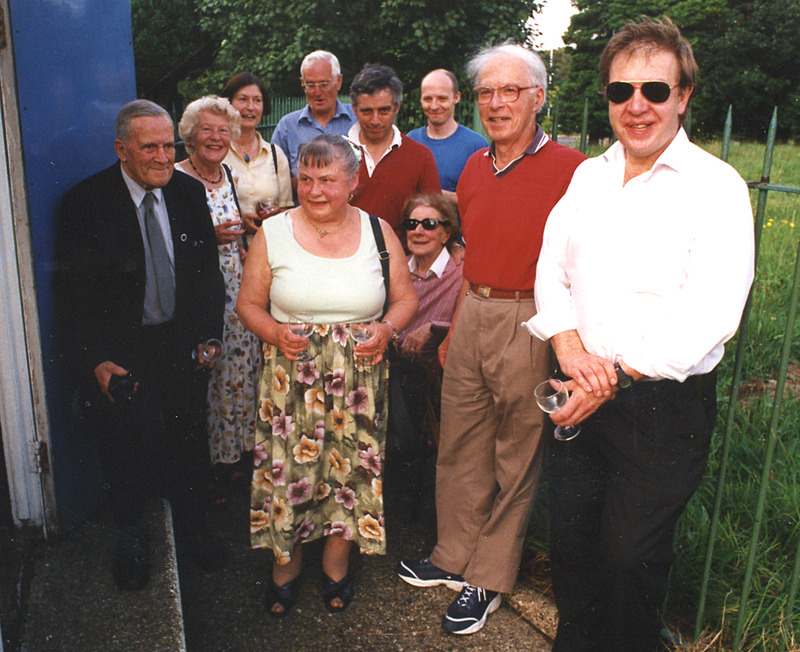 Robert joined the Hampstead Scientific Society in 1976 and he served as President from 1988 until his retirement from that position in 2008. He was the second longest serving President in the Society's history. His particular field of study and research concerned Ophthalmology and Gerontology, on which subjects, he was a renowned authority and right up until his death he remained affiliated to the Institute of Gerontology at King's College London. Robert was born in Prague in 1922, the son of a prominent economist. His father always intended that his education should be completed in England but the onset of war in 1939 precipitated a rather more rapid relocation to this country than was planned. Not having studied maths or physics to an advanced level in Prague, the young Robert took a correspondence course and then enrolled to read physics at London University which was based at Nottingham University during the war. Despite various handicaps, he completed the course in just two years rather than the normal three and he was awarded an upper second. He was then offered a post at Walthamstow College of Technology where he taught for a short period whilst simultaneously undertaking an MSc. In physics, before joining the MRC (Medical Research Council), in 1948. He met Betty, his wife-to-be at a tennis club in 1950 and they married in 1952. They had three children, Graham, Martin and Rosalind. He was very much a family man and did everything possible to encourage his children to develop whatever talents they possessed. He joined the staff of the Institute of Opthalmology in 1959. Thereafter, he became Reader in Physiological Optics in 1964, Professor and Director of the Department of Visual Science in 1971 and Professor of Visual Science in 1978. His interests included the photochemistry of the retina, biophysics of the lens, optical illusions, colour vision, etc. which spread to an interest in the history of art. He studied Art History under Sir Ernst Gombritch and he was the New Scientist Art Correspondent from 1971-1978. Robert was himself an accomplished painter and sketcher and recorded many of the places around the world that he visited. He planned many enterprising summer holidays, taking his family to many locations in Europe including some of the less accessible areas such as Yugoslavia in the 1960's. He greatly enjoyed mountain walking and also wrote poetry. He spent several stints in the USA as Visiting Professor and for eight years was a consultant for the WHO (World Health Organization), when he visited a large number of developing countries. More recently he held an appointment at the Moorfields Eye Hospital. He was also senior Research Fellow at both the Age Concern Institute of Gerontology at King�s College London, and in the Eye Department of University College Hospital. He published a number of books: The Eye and its Function (1959), The Aging Eye (1963), From Sight to Light (1967), A Biology of the Eye – Development, Growth, Age (1982), The Senescence of Human Vision (1992), Youth Prolonged: Old Age Postponed (2009) in addition to over 260 scientific papers and contributions to books by other authors. Robert was an enthusiastic member of the Athenaeum for almost 40 years and was Chairman of the Talk Dinner Committee from 1994 � 1998 and he held the Livery of the Worshipful Company of Spectacle Makers. His wife, Betty predeceased him in February 2011, since when he lived in a Senior Citizens' home in Virginia Water, where he was particularly well looked after by Martin and Rosy. Our thoughts at this time are with Robert's family to whom we send our deepest sympathy at the passing of a devoted father, a distinguished past President and a renowned scientist.